From exclusive materials and custom colors to a bespoke selection of features and fittings, the BMW range offers the opportunity for near limitless options and a one-of-a-kind expression of luxury around Normal. Leasing options are available with flagship models like the BMW 3 Series, BMW 5 Series, BMW X3, BMW X5, and BMW X7. Why Should You Take Advantage of a BMW Lease Deal? The prestige of driving a luxury BMW around Bloomington never wanes, and you can stay behind the wheel of the latest vehicle by leasing instead of buying. From exterior styling to top of the line features, everything stays cutting-edge. When the lease term ends, you simply visit your dealership and upgrade to the newest model. All that, and you’ll still reduce your monthly payments. 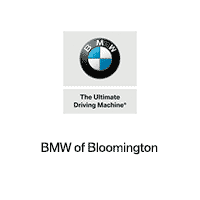 To speak about leasing a BMW with one of our finance professionals, simply visit the BMW of Bloomington showroom or feel free to contact us directly.